Rumors are circulating that Disney is taking another go at a third installment of the Tron series after initially cancelling plans in 2015. The new film will feature Oscar-winning actor Jared Leto as its central character. Titled Tron 3, the film will be based more directly off its original, deleted screenplay rather than as a sequel to the 2010 Tron Legacy.In addition, by taking this new approach and in employing a top actor as its star, Disney hopes to turn this venture into one even more impactful that its predecessor from half a year ago. 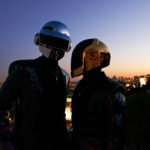 The company has big shoes to fill, considering the fact that Tron Legacy grossed $400 million worldwide and boasted an impressive soundtrack composed by the reclusive French duo Daft Punk. Word remains as to whether or not the robots will return to pen Tron 3‘s music.